Halloween is the time of the year when many decide to dress up as their favourite ghoulish characters and over the years South Africans have become more involved in the festivities. Screams, blood trails and sinister laughs are things we associate with horror movies, but there is something else which always lingers in our memories of horror movies - the car breakdown. 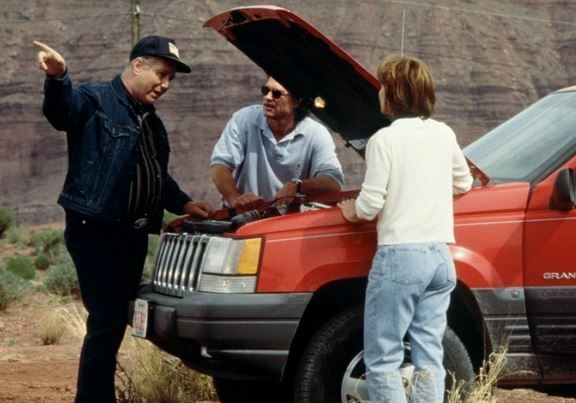 The way cars always seem to break down in the worst place possible is common in horror movies, but what is the most memorable horror movie car break down scene? UK-based vehicle recovery specialists, startrescue.co.uk, conducted a survey in the weeks leading up to Halloween in order to find out not only the most memorable horror movie car breakdown, but also the most common cause of it. Of the 550 members of the public who took the survey, 40% decided that the most memorable horror movie breakdown was from Wes Craven’s classic, The Hills Have Eyes, in which a family’s car breaks down in a former nuclear testing site, where the resulting radiation has turned the local population into cannibal savages - not really an ideal place to break down! From Jeepers Creepers to Wolf Creek we’ve seen the unsuspecting victims either stumbling across a nightmare scenario with a car failure, or in other situations the helpless sufferers are looking to flee the carnage, until that is, they see a glimmer of hope in the shape of a car, only to find the would-be escape tool ultimately fails. Lack of fuel was given as the most common cause of a breakdown, with 44% of the vote, followed by battery problems with 22% of the vote. The public were also asked what their ultimate breakdown nightmare would be, 58% said the worst place to breakdown would be the woods and 45% said that if they were in a horror movie and their car broke down, rather than try and fix it they’d simply run away to flee any potential chaos that may ensue.